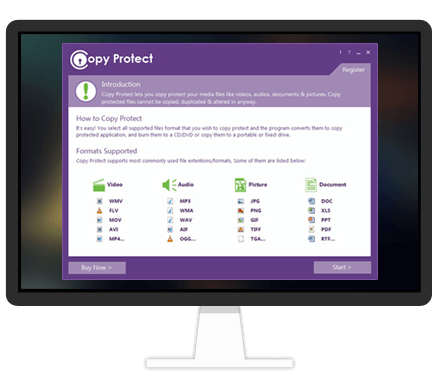 Copy-Protect your documents, images, audios and videos. The ideal solution to safeguard your intellectual property. An Awesome Copy Protection Tool! An improved security software that lets you protect files from being illegally copied. Showcase your talents without any fear of data duplication. 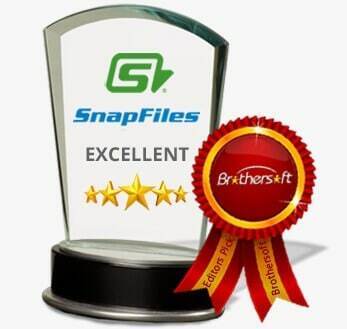 A copy protection software that lets you protect files and documents. Maintain the ownership of your talents, ideas etc. A software that converts all supported formats into executable applications that run only in the desired CDs/DVDs/Drives you want.